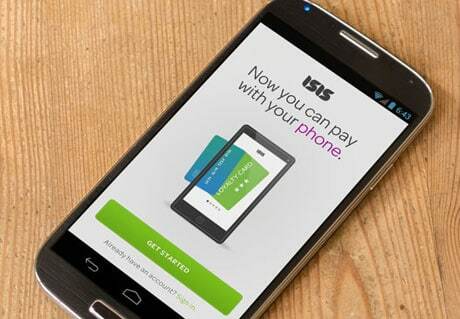 NFC payments are now available to AT&T, T-Mobile and Verizon Wireless subscribers across the US, with the national launch of the Isis Mobile Wallet. A 20% discount on their first $200 of purchases made with the American Express Serve account is being provided to every Isis user as an incentive to sign up and use the service. More than 40 “Isis Ready” Android NFC phones are compatible with the service and new versions of the Isis Mobile Wallet — one for each of the three carrier partners — are now available to download in the Google Play app store. The NFC compatible SIM cards required by the service are available free from AT&T, T-Mobile and Verizon Wireless. As well as making payments via a prepaid American Express Serve account, customers will also be able to store their regular American Express card in their Isis Mobile Wallet as well as Chase Freedom, Chase Sapphire, Slate from Chase and JP Morgan Palladium credit cards. 20% back on the first $200 of purchases made with American Express Serve. This offer runs until 31 January 2014. Free smoothies at Jamba Juice. Isis and Jamba Juice are giving away one million free smoothies to Isis Mobile Wallet users at participating Jamba Juice stores across the country. Unless ISIS start putting boots-on-the-ground in carrier stores and shopping malls to walk consumers through the process, getting average users to reach the “seamless” experience is a steep learning curve and commitment of time. It is not an intuitive set-up process. Even getting a secure element SIM is time consuming. Who will want to watch a series of videos to figure this out? If ISIS put out the effort to handhold one person through the process, that person will show 10 friends. But, ISIS need to give that first person some very personal attention if they want to get this up and running. YouTube videos will not do the trick. Spending money on grass roots, real person marketing will be required. Let’s face it, 99% of consumers with an NFC enabled device still haven’t turned “on” their NFC in their Settings yet. ISIS have a lot of work ahead of them.